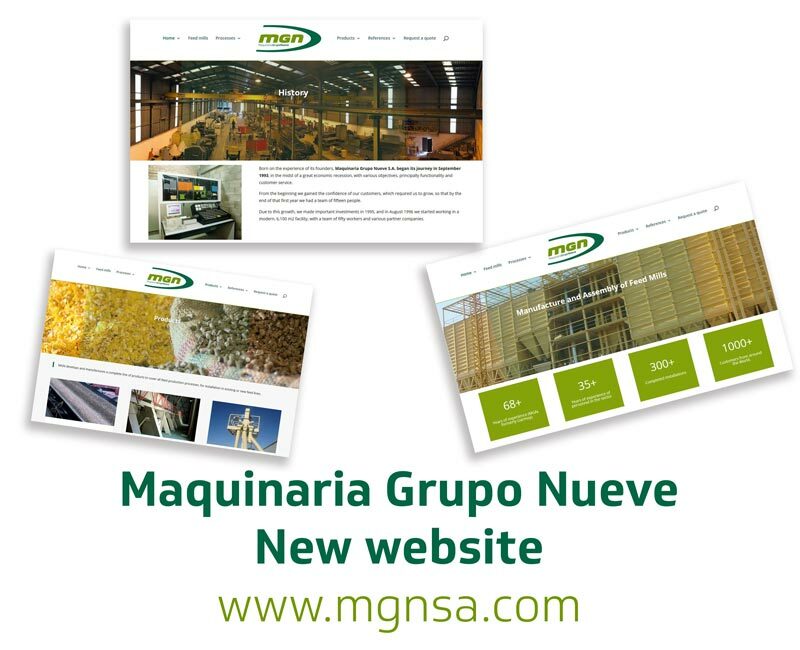 We are pleased to announce that the new MGN website is now available. It is all about the manufacture and assembly of feed mills! Given the need to adapt and improve our content on the Internet, we have developed a new website that is much more intuitive, simple, visual and modern. This finalises the process of renewing our corporate image, initiated last year. Maquinaria Grupo Nueve S.A. was born in September 1993, in the midst of great economic recession, with various objectives, principally functionality and customer service. Due to the company growth, we began a period of technological development of our machines and works. And now it is time to focus on developing our online presence, starting by offering a new website with updated information about the brand and industry news. We invite you to browse our website to better understand the variety of services, products and solutions we offer, where you can easily request a no obligation quote.